The September 2018 quarter was a challenging one for the Indian economy. Oil prices steadily climbed, exports plunged, and the rupee kept sliding against the dollar touching Rs 73/USD. India is very sensitive to oil prices. Rising oil imports only worsens our trade deficit. Unless, growth in exports more than makes up for it, which has not really been the case. For a consumer, rising fuel costs hit the pockets hard, so they might choose to defer expenses. For companies, auto companies particularly, this means lower sales. Vivek Kaul, has developed, what he calls, The Indian Economic Thermometer. He highlighted 24 indicators that you need to look at to get a sense of how the economy is performing. And one of these indicators is the number of vehicles sold - passenger cars, scooters, motorcycles, commercial vehicles, etc. The number of vehicles sold is one good barometer of the economy because it gives a sense of demand, i.e. consumption. Car sales have significant backward and forward linkages. When cars sell well there is demand for more steel, rubber, paint, glass, batteries and so on. So, a whole host of sectors tend to do well. As far as forward linkages are concerned, greater car sales increase demand for car loans, servicing centres for cars as well as energy consumption. In fact, Vivek recently wrote about the GDP figures published for July-September 2018. The economic growth during the period fell to 7.1% per year, as against 8.2% during the period April to June 2018. The growth in the non-government part of the economy fell to 6.4% during the period July to September 2018. This fall in economic growth was clearly visible in other economic indicators like car sales and two-wheeler sales. But there appears to be a reversal in trend if the October 2018 numbers are anything to go by, points out Vivek. It does appear to be the case, if you look at the volume growth numbers for some of the top auto companies, particularly in October. But note, this is also the beginning of the festive season where traditionally sales have been higher than in other quarters. So keeping an eye on the trend for a few months will give a better indication of where things are headed. So What Drives Automobile Demand? 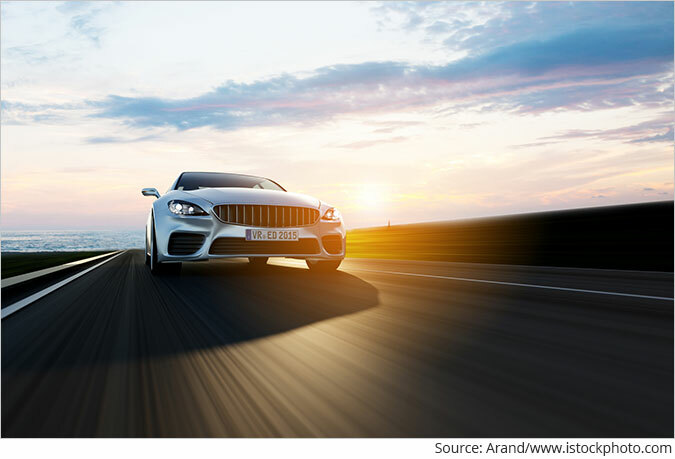 From a long-term point of view, growth in auto sales is largely determined by rising personal incomes, development of road infrastructure, and variety of new product launches by automobile companies. In the near to medium term, however, demand is greatly influenced by economic indicators such as oil prices and interest rates. That is one reason why the industry is cyclical. So while there could be short-term swings in performance, in the longer term (around 5 years or more), strong auto companies, with good brands and clean balance sheet, have displayed consistent financial performance and have also rewarded shareholders accordingly. We had recommended one such auto company under The India Letter a few months back. It ticked all the right boxes. And there is a possibility we could recommend another one. We request your view! Post a comment on "This Indicator Can Tell You Where the Indian Economy is Headed". Thank you for posting your view! 4 Responses to "This Indicator Can Tell You Where the Indian Economy is Headed"
I am curious which way indian economy is heading especially in the election year. With Ola/Uber plying on Indian city roads in a big way, the necessity of vehicle ownership is a posse. Indian middle rich class that was buying 4 wheelers in a big way prefers hiring them. Now young Indians prefer more with less. Vivek has not taken note of this development.